SyattFitness.com is run by dynamo Jordan Syatt, a world record powerlifter, world class strength coach, and all-around great person. 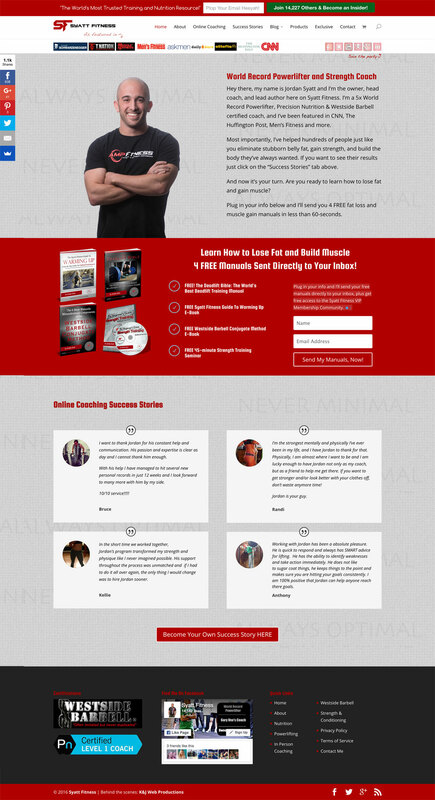 When we first began working with Jordan he had already garnered a significant online following by virtue of writing stellar content on his personal blog, but he was looking to take the next step to advance his business. Our scope on the project began with an overhaul of the site design, in which we focused on creating a platform to engage Jordan’s audience and channel his energetic personality. To acheive the goal of audience engagement we incorporated appealing newsletter signups, as well as convenient social media share and like buttons. 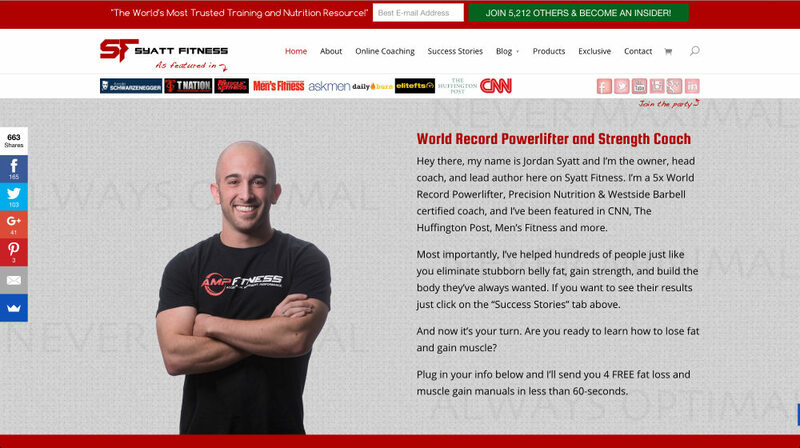 While the focus of Jordan’s site is his content, he also sells eBooks and Syatt Fitness apparel. With this in mind we created a shop section on his site to make purchasing his products a snap. The result was a platform that works for Jordan’s needs as his business continues to blow up, and we are thrilled to see his ongoing success.